Bhutan is a small country in the Himalayas between the Tibet Autonomous Region of China and India. Besides the stunning natural scenery, the enduring image of the country for most visitors is the strong sense of culture and tradition that binds the kingdom and clearly distinguishes it from its larger neighbors. Bhutan is the only Vajrayana Buddhist nation in the world, and the profound teachings of this tradition remain well preserved and exert a strong influence in all aspects of life. 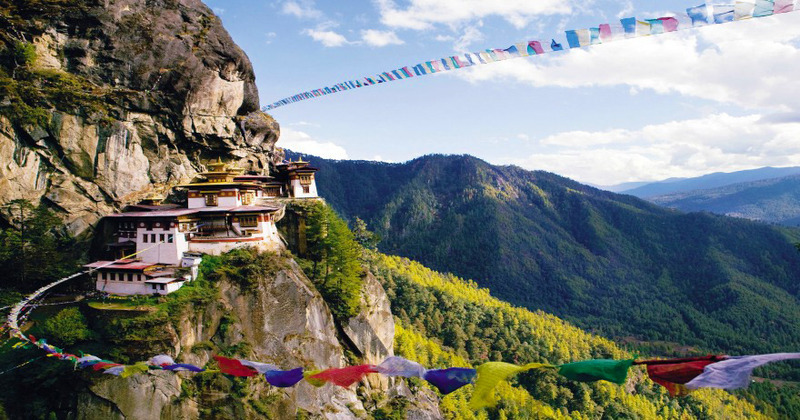 Due to its pristine environment and harmonious society, the tiny Kingdom of Bhutan has been called "The Last Shangrila."